Ideal wrinkle reduction is achieved by replenishing your skin’s lost volume. 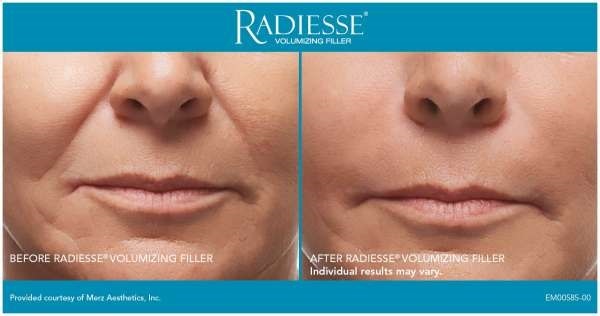 Upon injection, RADIESSE® Volumizing Filler immediately provides the volume and lift needed to diminish the signs of aging. Best of all, the natural results are clinically proven to last a year or more in many patient (See link to source). CHEEK AUGMENTATION – As we age, we start to lose fat in our faces and it is often most noticeable in the cheek area. Radiesse is an ideal filler for adding volume to cheeks because it can be used to treat large surface areas in one procedure. The result is a healthy looking, contoured appearance common in more youthful cheeks. HAND REJUVENATION – Are you starting to show veins and tendons on the back of your hands? If so, this amazing treatment can help with immediate results. 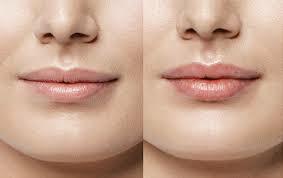 LIP ENHANCEMENT – Here at Derby Derm we use Juvederm XC in lips due to the fact that it has a soft natural feel. Juvederm® XC provides a smooth, natural look and feel—so everyone will notice (but no one will know)! It is FDA approved to last up to a year. Book Your Radiesse or Juvederm Treatment Today! The Liquid Face Lift is a phenomenal advancement that allows us to lift the face in a creative and ingenious new way. As age we ordinarily lose the volume in our face. Not only does our skin lose it elasticity and softness, our facial muscles get smaller as they do in other areas of the body. As we lose this volume we become deflated, much like an old balloon. Instead of surgically stretching the skin over bone that often times looks very unnatural; we can replace lost volume that allows us to support and lift the face. The result is a natural, youthful appearance. 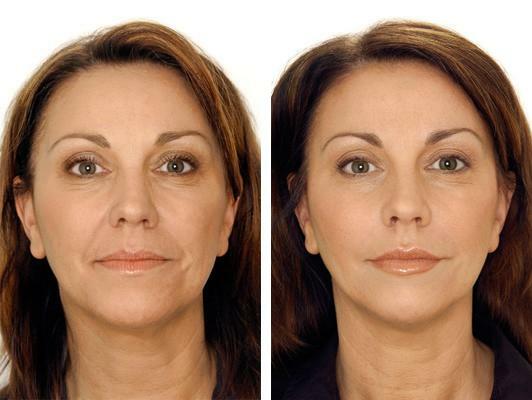 * Add volume back to sagging cheeks, elevate them and pull out the nasolabial folds and lift marionette lines. * Lift sagging jaw lines where the jowl appears. * Smooth moderate to severe frown lines. * Address sun damage, poor skin tone, enlarged pores and more. Using fillers and Botox in the appropriate combination, the result can even surpass surgical treatments. Best of all, it can be accomplished in a little over an hour and requires very minimal, if any, downtime. * Are afraid of surgery and or having to live with irreversible results. * Simply want to eliminate moderate signs of aging. * Want to re-contour cheeks and chin. * Have had a surgical face lift to remove excess and sagging skin but need to add volume and shape. * Are seeking an on-going, regular program of treatment to slow the appearance of aging in their facial feature. The Liquid Face Lift is a quick minimally-invasive set of procedures that are custom designed just for you. It uses dermal fillers and Dysport to add volume to skin and relax facial muscles so that wrinkles and creases are smoothed. It will clarify the skin and give you a healthy, youthful glow. Many patients who think they need facial surgery are pleasantly surprised to discover that the Liquid Face Lift is a better solution. Are you ready for a complimentary consultation? Call 788-DERM (3376) today.